EARLY BIRD SPECIAL ENDS SOON! EssenSky the School of Healing & Natural Therapies created classes that will support you to become the best version of yourself and give treatments that change lives. 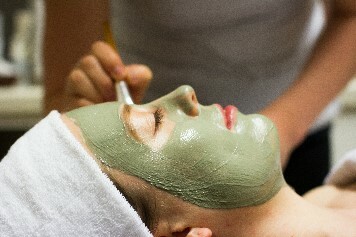 This Accredited Holistic Facial Therapy course is quite unique as it offers both online and physical classes for you to achieve your course in the best way possible and it touches on the whole of a person, not just the skin. You are going to learn to be connected with yourself, your clients and the power of giving a holistic treatment. As well as this you will be learning the different skin types, what products to use and how to apply them with the right touch. As our belief is to work with only certified organic and natural skincare, you are going to learn more about this important facet and also about the gifts Mother Earth has given us. 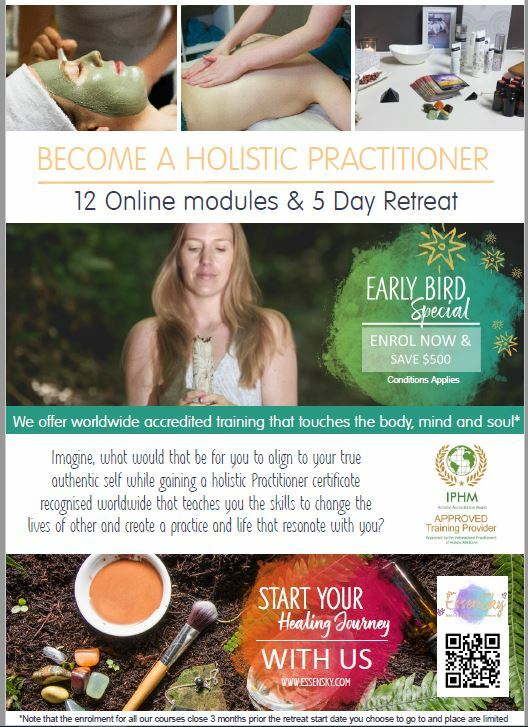 This course is perfect for you want to give high-quality treatments, offer a completely unique experience, and use only products that are safe for your clients, yourself and the earth we live in. 12 online training modules with videos, audio, assignments, and support based on grounding, contraindications, skin theory and analysis, client care, facial techniques, massage, product knowledge and after treatment processes. 5 Day Retreat to develop your skills even further, a total immersion into what you have been learning, and your final practical exam to get certified. EARLY BIRD Special FOR ALL EssenSky Accredited Courses certifications!! !